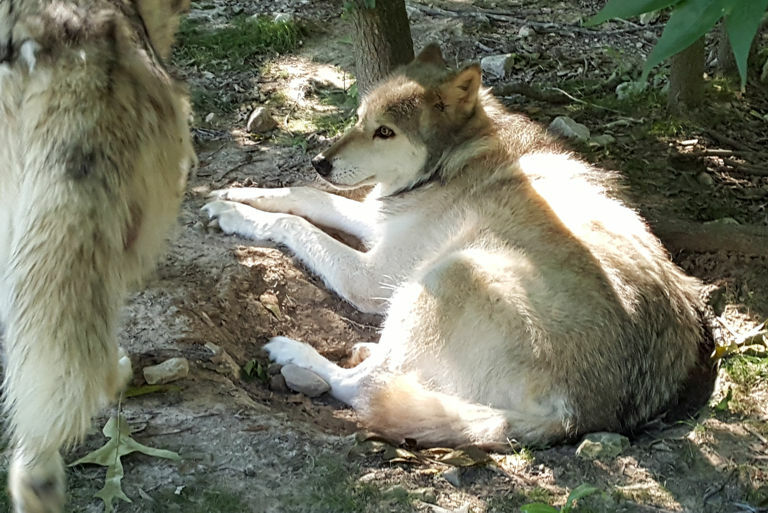 The Wolves have not been enjoying this hot weather, one bit. Most of their days are spent lying in the shade. Thankfully, they have lots of it as you can see from the picture below taken by our webcam during the hottest part of the day. 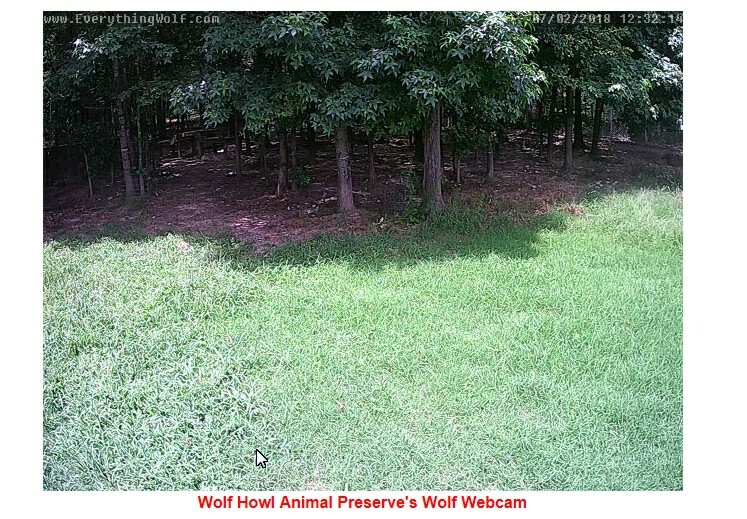 Here is a link to the Wolf Webcam. We have been bringing them foods they like to spark their appetites. Some of their favorites are pizza and beef hearts. I’ve also been giving their Sentinel now wrapped in ground beef and cheese. They go absolutely crazy for it. In fact, I have to watch my fingertips. I was looking through old videos and found this one taken in June of 2008. It was taken when I came home from a weeklong trip up north when my oldest Grandson was born. I love how excited they were to see me. Poor caretaker Don had trouble filming it as they were young and rambunctious. They were taking turns trying to steal the camera in between greeting me. I love when they all regroup and rally. They are all getting up there in years now. Each Wolf has an issue we are keeping our eyes on. They still enjoy cuddles, belly rubs and back scratches. Wa-ta-chee is still a foodie, though. Niko Akni stops him when it’s something he really likes in the food pan. Woha and Ohoyo still argue with each other through the fence.